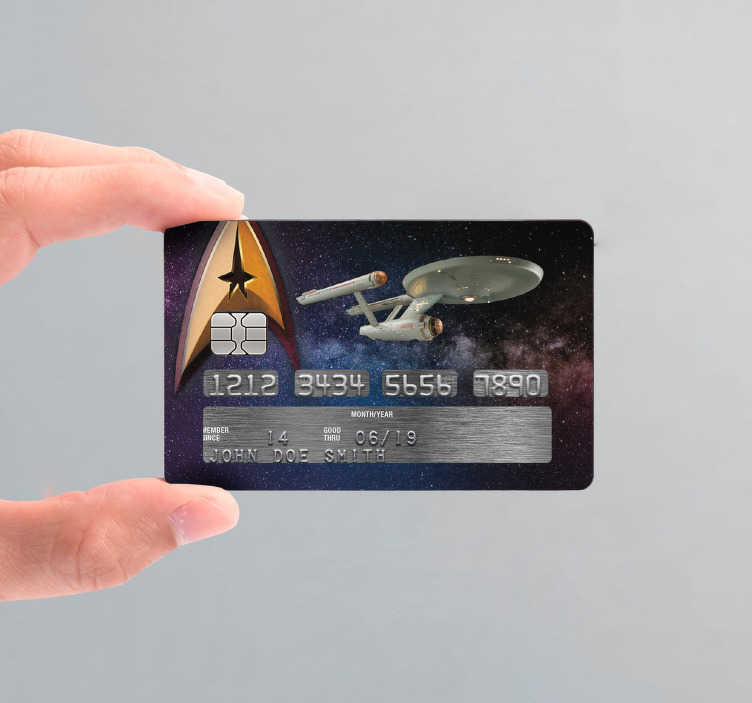 Transform your credit card into something from outer space with this stunning credit card sticker, depicting a classic Star Trek ship flying through the galaxy! Ideal card decor for those Trekkies who wish to remind themselves of their love for Star Trek every time they see their card! Whether you love George Takei, Leonard Nimoy or any other member of the cast; if you love something about Star Trek then this vinyl decal is perfect for you!